It's been busy. I've been catching up. 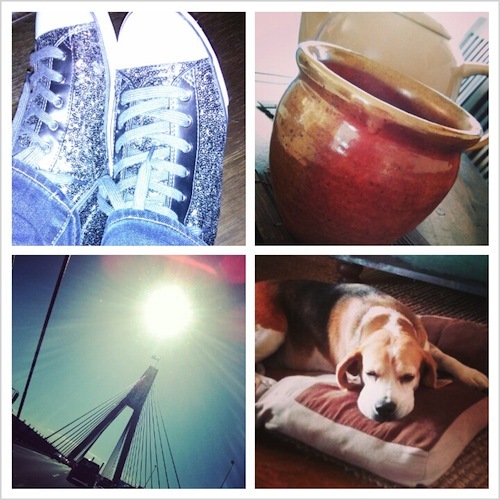 My secrets to coping.... sparkly shoes that I can run in, tea from a beautiful cup, sunshine... and pooches. Got to have puppy cuddles.